Would you like to become a brilliant musician? Want a way to enhance your instrumental abilities from the inside out? Playing an instrument is challenging and rewarding. It takes years of practice and dedication to learn technique before you can play with passion and fluency. So what can you do to speed things up? 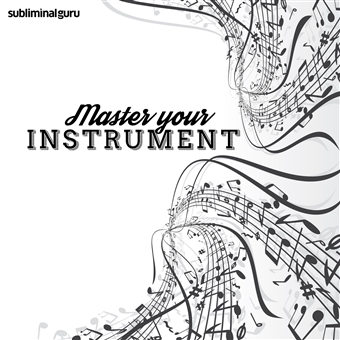 With the Master Your Instrument subliminal session, you'll tap into your latent natural musical ability! 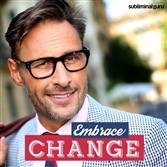 As you listen, thousands of powerful positive affirmations will infuse your mind, helping release the instrumentalist within. You'll start to play instinctively, letting your true musical gift run free. 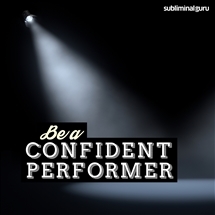 You'll learn technical skills and new pieces faster then ever, assimilating them quickly, and putting your heart and soul into every performance. Download the Master Your Instrument subliminal audio now to become the incredible instrumentalist you always wanted to be. I love making music on my instrument. I practice regularly and faithfully. My instrument is a part of who I am. I express myself through my instrument. Playing my instrument is enjoyable and liberating. My technical skills get better every day. I play with feeling and musicality. People admire my tone and technique. Playing my instrument is completely natural to me. The more I play the better I become. I love performing with my instrument.